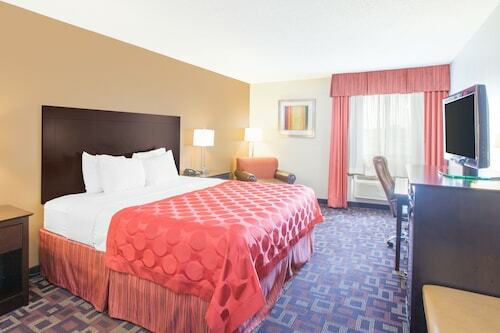 This family-friendly Tulsa hotel is located in the business district, within 3 mi (5 km) of Oklahoma Wesleyan University, Cowan Park and All Star Sports Complex. Woodland Hills Mall and Southroads Mall are also within 6 mi (10 km). 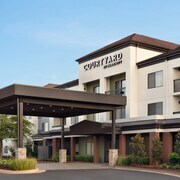 Located in the heart of Tulsa, this hotel is 0.6 mi (1 km) from Richardson Asian Art Museum and within 3 mi (5 km) of Whiteside Park and LaFortune Park. 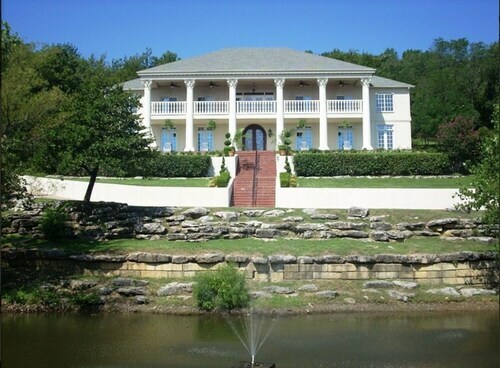 La Fortune Park Golf Course and Oklahoma University - Tulsa are also within 3 mi (5 km). 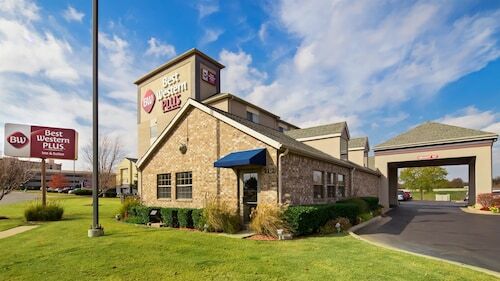 Located in South Tulsa, this hotel is 1.2 mi (1.9 km) from St. Francis Hospital and within 3 mi (5 km) of Woodland Hills Mall and Oral Roberts University. LaFortune Park and La Fortune Park Golf Course are also within 2 mi (3 km). This family-friendly Tulsa vacation home is located in South Tulsa, within 3 mi (5 km) of International Missions Memorial Museum and Gardens and Woodland Hills Mall. SpiritBank Event Center and Hillcrest Hospital South are also within 3 mi (5 km). 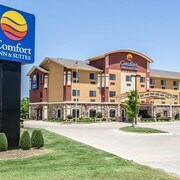 Situated near the airport, this hotel is 2.2 mi (3.5 km) from Cowan Park and 2.9 mi (4.7 km) from Tulsa Expo Center. Tulsa Community College and McClure Park are also within 3 mi (5 km). 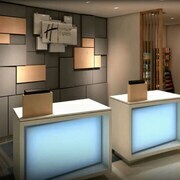 Located in Downtown Tulsa, this spa hotel is steps from Tulsa Performing Arts Center and Oklahoma Jazz Hall of Fame. Tulsa Municipal Building and Philtower are also within 10 minutes. It’s not a family vacation if you can’t bring the entire clan with you, is it? Next time you have a few days off from work, plan a family-friendly getaway. 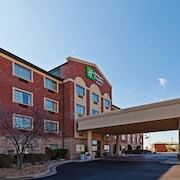 Set off on an adventure the entire family will love, and book your stay at one of the kid-friendly hotels in Tulsa. Your little ones are the most important thing in your life, so make sure they enjoy your accommodation as much as you do. From a kids-only room service menu (macaroni and cheese, anyone?) 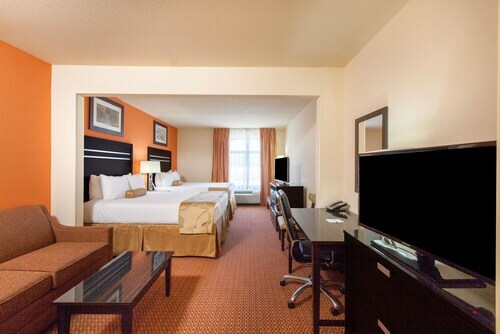 to special perks like in-room video game consoles, these lodgings provide a little something extra for the smaller members of your crew. The best family-friendly hotels in Tulsa may even offer playgrounds and other activities to keep the kiddos busy. What’s more, some hotels provide a babysitting service so you can get a few hours to yourself! Whether you’re traveling with one small child or hauling around your entire extended family, Travelocity is here to help. 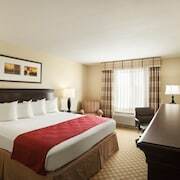 Let us hook you up with hotels for kids in Tulsa that will keep your youngsters happy without breaking the bank. You can save even more when you bundle your flight and hotel together, so what are you waiting for? Grab your family and get ready to explore! This was a very nice place. It was clean, friendly and inexpensive. Very close to the airport. Speedy shuttle service. Noisy because, well, very close to airport. Good breakfast. 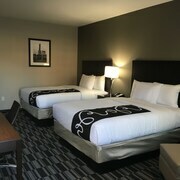 We arrived at 1 am for our visit and the employee went above and beyond to get us set up in our room with our 2 very old dogs. It was a great experience after a 15 hour drive. The property is conveniently located to major transportation arteries yet from your room you don't hear the interstate. The surrounding neighborhood may look a little sketchy but that is only because it is industrial in nature with warehouses and such. At NO time did any of us feel unsafe. 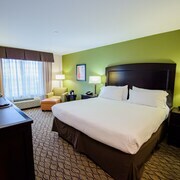 The rooms are clean and neat, the bed is comfortable and the staff is friendly.